Here are the essential tools for locksmiths to effectively perform their job. They help locksmiths manipulate, rewire, repair, and open security systems of varying levels of complexity. Key extractor. As the name suggests, this tool lets locksmiths retrieve parts of a broken key that was left stuck inside the lock. It can also be used to remove foreign objects that are lodged inside the lock, which prevents a key to do its job and to open the lock. Manual lock pick gun. Sometimes simply known as the pick gun, this is one of the oldest locksmith tools, having been around for about a millennium. An electric version is now also in wide use. This works by applying sudden pressure to a lock’s bottom pins with enough force to jostle the upper pins, causing them to jump, and – voila – the lock opens. Plug spinner. This tool is used by locksmiths to re-align pins to their proper positions in situations where the lock has been tampered with or after the locksmith has worked with the lock for repair or maintenance reasons. This tool allows locksmiths to lift and to move the key plug. Rake pick. This is a favorite among locksmiths because it is one of the easiest tools to manipulate. They have a mechanism that looks like a rake (hence, the name) which, when rapidly run over a shear line, lets a torsion wrench open the lock. Slim Jim or Slim Shim. Another basic tool for locksmiths is the slim shim, a flat spring steel that has a notch at its bottom portion. It is used to open automobile doors without the use of neither key or lock pick by sliding in between the glass of the car window and the weather stripping so the notch at the bottom of the tool can catch the levers and rods that operate the door and cause it to open. Torsion wrench. The torsion wrench is a must-have item for any locksmith. This is an flat, L-shaped steel tool that locksmiths often use in conjunction with other tools. Locksmiths use them to hold the pins inside the lock while applying the appropriate pressure and reaching the shear line to release the lock. 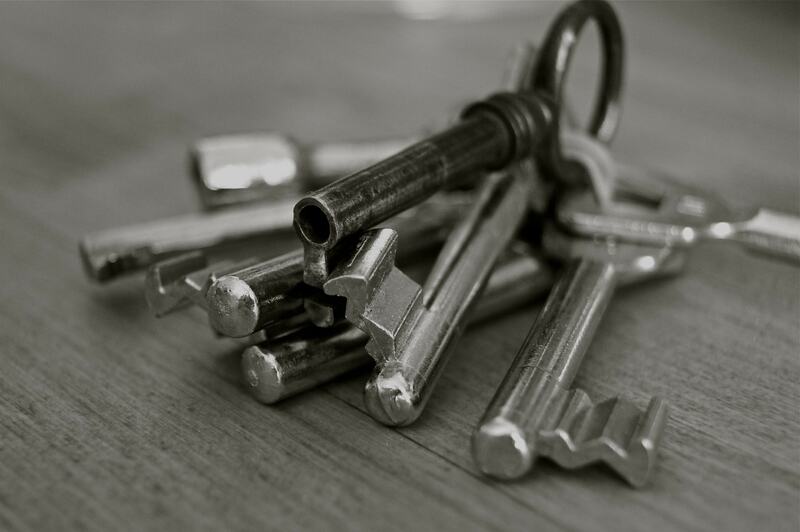 Most locksmiths have these in three types (light, medium or rigid) for use in all kinds of situations. The above are just some of the most basic tools that locksmiths use. For more complicated problems, such as those involving electronic or multi-level security locks, locksmiths can choose to use specialized and/or computerized tools. These usually have scanners and digitized features that helps figure out and manipulate extra-complicated locks. Other tools does not only allow locksmiths to defeat the lock but also to create customized security systems.